The Savant SmartEnergy Monitoring solution measures and reports on energy usage and production in real-time enabling users to reduce consumption and conserve resources. Property managers, building maintenance staff, and even system owners can now track data on electricity usage and cost by connecting SmartEnergy Monitoring equipment to any electrical panel. 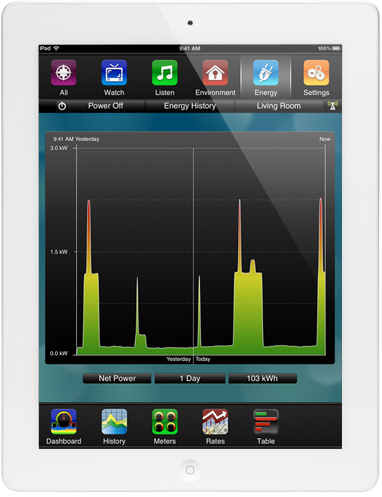 An intuitive iPad interface monitors every aspect of energy consumption from appliances to HVAC and lighting, and allows users to view and respond to usage remotely.